Umami, a.k.a. 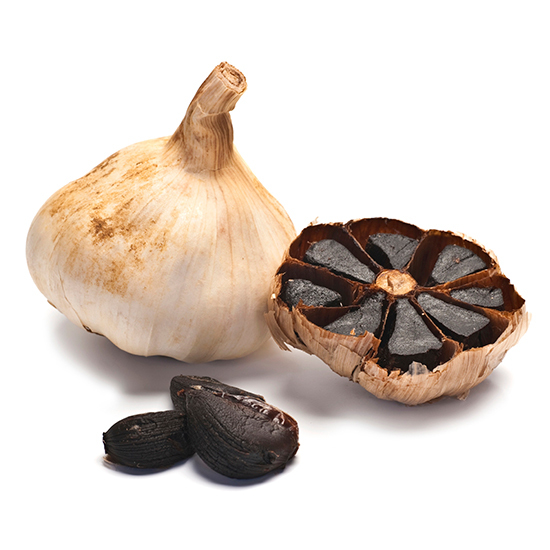 deliciousness, can be found in many foods like mushrooms, soy sauce and dashi, but Ming Tsai believes the next “it” source for the fifth taste is going to be black garlic. Umami, a.k.a. deliciousness, can be found in many foods like mushrooms, soy sauce and dashi, but Ming Tsai believes the next “it” source for the fifth taste is going to be black garlic. “To make it, you ferment and dry a whole head of garlic until the cloves are two thirds of their original size and turn pitch black,” he says. “It’s one of the most-umami-packed flavors out there.” The striking appearance and pungent flavor make black garlic a wonderfully complex ingredient. Here, two delicious ways to try it. This warm salad from F&W Best New Chef 2014 Matthew Accarrino combines three types of peas with a creamy ricotta-pea puree, sweet-tart lemon confiture and sweet, smashed cloves of black garlic. Rich sardines are incredible with an equally flavorful molasses-tinged aioli.